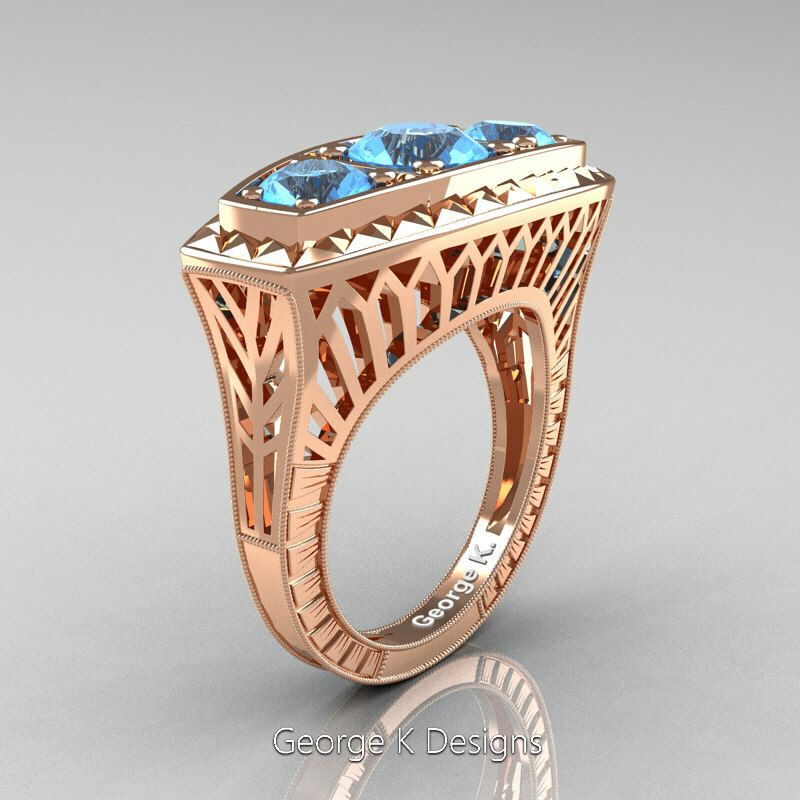 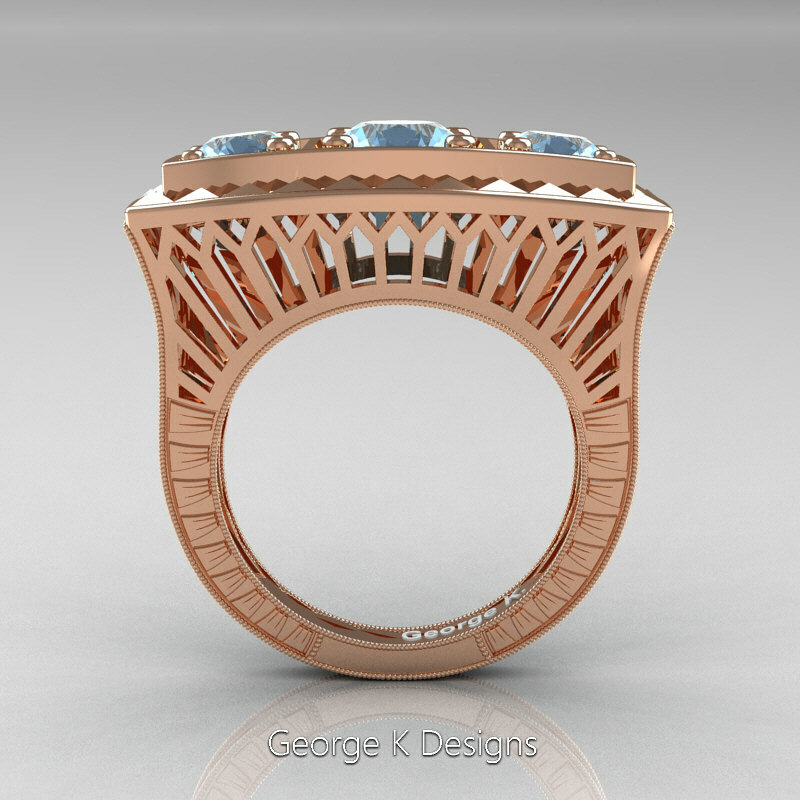 Reviving, elegant and classy, this Art Deco 14K Rose Gold Three Stone 2.0 Ct Blue Topaz Engagement Ring R368-14KRGBT by George K Designs evokes glamour, character and style and is sure to delight the most discriminating feminine taste. 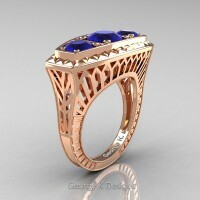 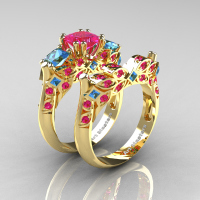 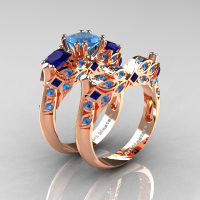 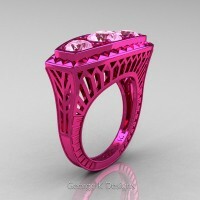 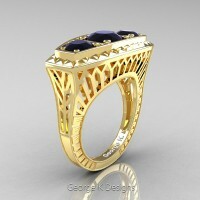 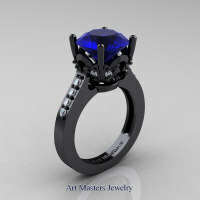 Designed for your special moment, this luxurious engagement ring is a sight to behold. 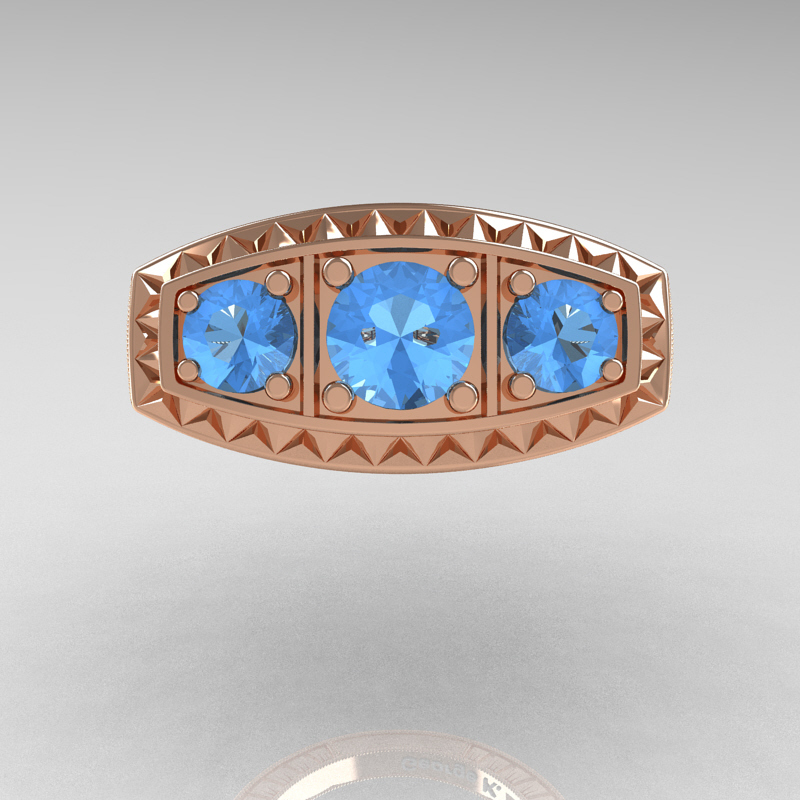 Be the first to review “Art Deco 14K Rose Gold Three Stone 2.0 Ct Blue Topaz Engagement Ring R368-14KRGBT” Click here to cancel reply.